I mapping the number of Boko Haram victims in each state of Nigeria for several years. I chose to make a proportional symbol maps using the centroid of each state. For a given year, the area of the circular symbol is directly related to the number of deaths. The default legend offers me 3 categories which are not very convenient (1, 100, 10.000). I would like to be able to change the breaks in the legend to, say, 100, 1.000, 5.000, 10.000. In the legend wizard, on the last step you will be prompted with spacing options. Recreate your legend and change the "Spacing between patches (Vertically)" until you find a spacing you like. In terms of creating more breaks, you have to go to the layer properties and select Symbology > Quantities and modify the number of classes. Just convert your legend to graphics, ungroup until it's all separated (you may have to do it several times) and manually edit the circle's size and labels. Then play a little with the "align" and "distribute" tools to make it look nice and centered. Not the answer you're looking for? 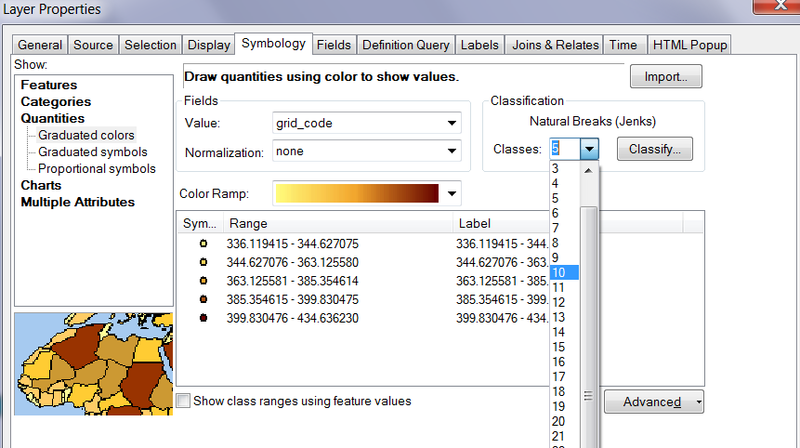 Browse other questions tagged arcgis-desktop arcmap symbology legend or ask your own question. Controlling “Fill Properties” in ArcGIS, so that that symbols are visible in legend? 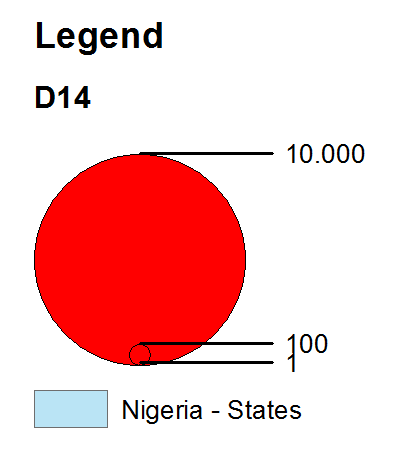 Setting symbol diameter based on specific attribute parameter in ArcGIS Desktop?